GoTrunk offers 24/7 support via our online ticketing system and provides information to our support team to resolve any queries and difficulties swiftly. Click to Open contextual menu. Click to Submit a new ticket. Click to View updates on any open tickets or previously resolved tickets. Opens a link to all the manuals and information about GoTrunk. Provide short subject of ticket. Provide detailed explanation of question or potential problem. Click Browse to add any screenshots or supporting documents. Click Submit to open ticket. A unique reference number will be provided that our support team will use when responding. 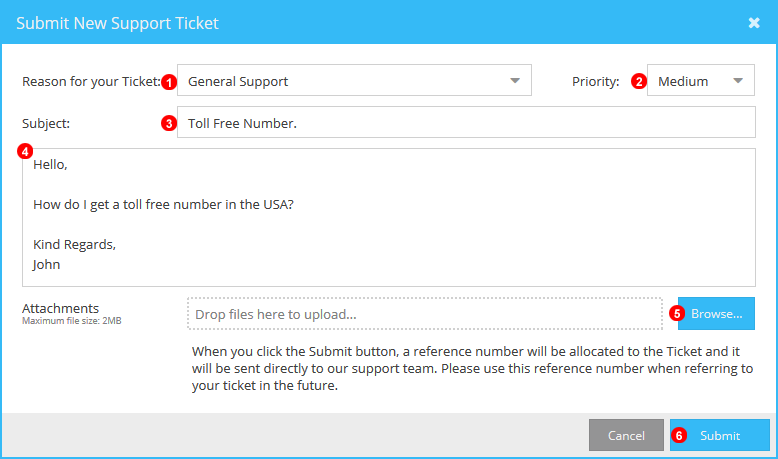 Filter and Sort all open and resolved tickets. Click to View and Respond to selected ticket.